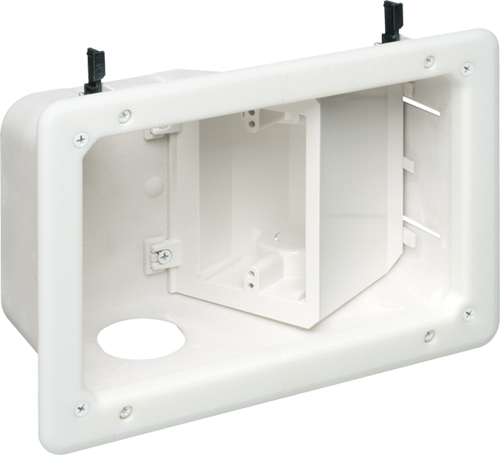 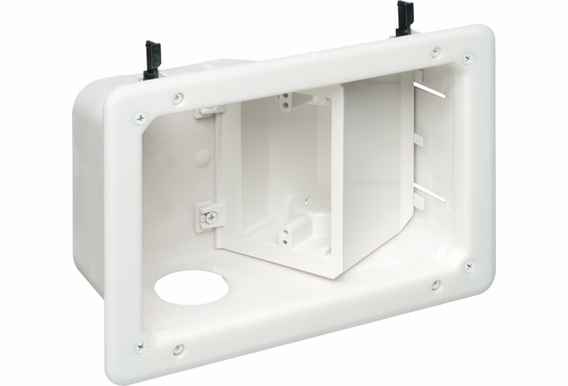 This recessed wall box offers a secure, easy way to mount flatscreen TVs flush against a wall. 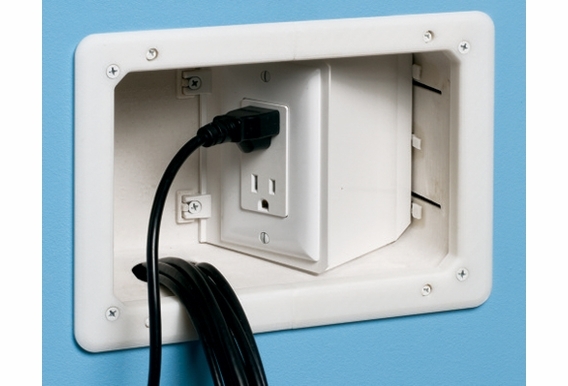 The TVB712 boxes have angled outlet boxes that take convenience to a new level. 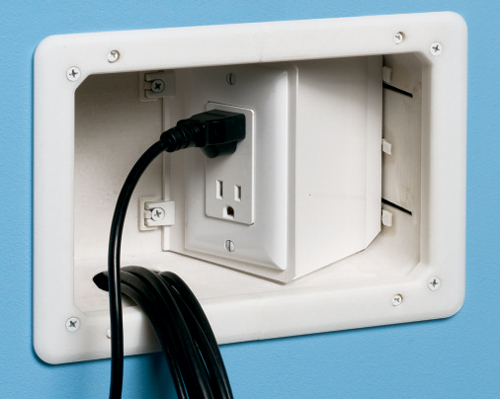 The versatile TVB712 offers power and/or low voltage.